(2010/COLLINS DESIGN) English, Flexicover, 20x20 cm, 480 pages; Listening to music on vinyl is enjoying a huge resurgence and collecting vinyl is more popular than ever - and not just for the music. Vintage 45s from all music genres are widely sought after by collectors for their unique graphics. since 1st birth in 1949, the 45 has provided a creative outlet for graphic designers and artists, who have used the record sleeve as a canvas, as a place to experiment visually and to express the aethetics and sentiments of the times. Comprehensive compilation of 45rpm record sleeve graphics, with 500 examples from every genre between 1950-2000. With a foreword by Lenny Kaye. 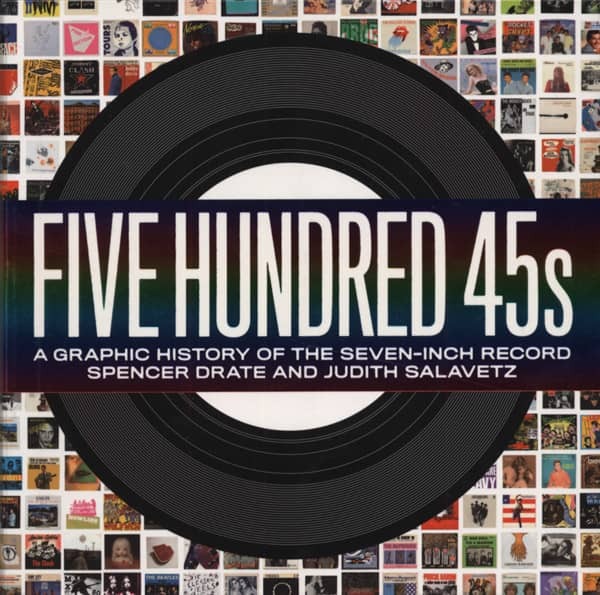 Kundenbewertungen für "Five Hundred 45s - Spencer Drate & Judith Salavetz"